It may already be hard enough to figure out someone’s tone on the internet, but emoji are now adding a whole new layer of complexity. In Virginia, a middle school student is currently facing charges after punctuating an online post with guns and a bomb. Although first reported by the Washington Post over the weekend, the case actually dates back to December 14, 2015. At the time, a resource officer at Sidney Lanier Middle School in Fairfax, Virginia was tipped off to a potentially threatening post that was made on Instagram. The post itself featured the word “killing,” followed by a gun emoji. It also stated, “meet me in the library Tuesday,” which was in turn followed by emojis of a gun, a knife, and a bomb. Afterwards, an emergency request was issued and investigators discovered that the IP address for the Instagram account belonged to a 12-year-old female student at Sidney Lanier Middle School. According to a search warrant from the case, the girl admitted that she made the post and used another student’s name to do so. Police ended up charging her with threatening the school and computer harassment, though the threat. While the case is currently on track for juvenile court later this month, the Washington Post said that it is not certain whether the girl will still appear or if the case has been resolved. The student has not been identified, but the girl’s mother did tell the newspaper that the student created the post as a result of bullying, that the girl has “never been in trouble before,” and that she believes the charges were unwarranted. This incident is not the only one of its kind that has taken place involving school children and emoji scares. In December, panic was stirred at an elementary school in Colorado after a third grader from another school sent an email to the whole student body that was filled with emojis such as guns, knifes, bombs, cows, sheep and more. The school didn’t shut down as a result, but resource officers were placed at both schools in order to monitor students and make sure everything was normal. 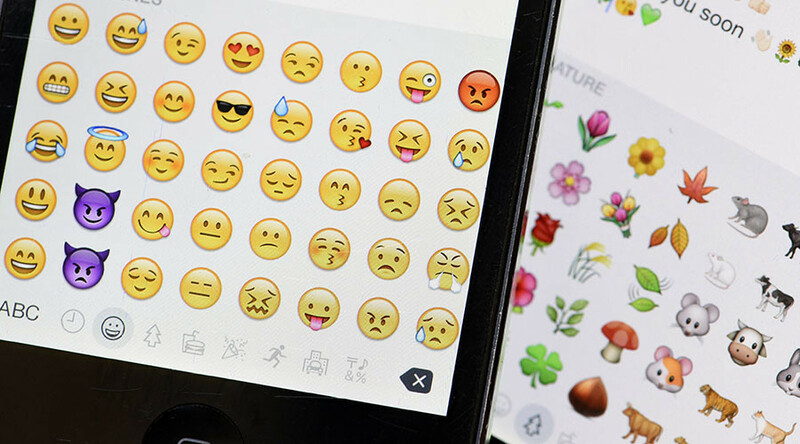 Other cases featuring emojis, meanwhile, have gone to court, leaving judges and juries to consider just how threatening post that feature the icons really are or can be. One involved a New York teenager who created a Facebook post that included an emoji of a police officer followed by several gun emojis that were pointing at the officer’s head. Ultimately, the teenager was not indicted by a grand jury. Other cases have revolved around the “:-P” emoji, which shows up as a face sticking a tongue out. In one Michigan incident, a comment posted online accused a city employee of corruption, Slate reported, but the placement of the tongue-out emoji at the end of the accusation made it clear that the comment was not serious, the courts decided.